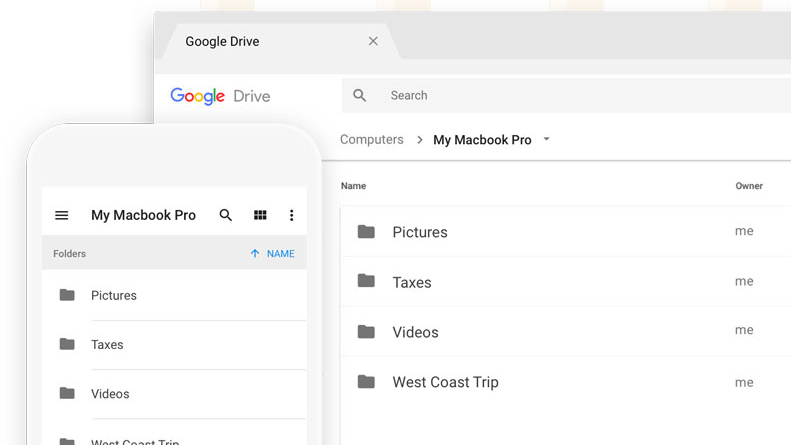 Google completely revamped the desktop Google Drive client this year with the move to Backup & Sync. The initial rollout was a bit of a mess with Google essentially breaking Drive for some people. It eventually worked all that out, and Backup & Sync has been running smoothly since then. There haven't been many feature additions, but there's a big one rolling out now. In the latest version, you have more control over which files are synced, and it's easier to add new folders to Drive. The latest version of the Backup & Sync client has build number 3.38.7642.3857. Here's what you can expect to see when you update. You can now switch between syncing all files and folders versus photos and videos only. In Backup and Sync Preferences, click Change in the “My Computer” section to choose which files sync. You can now ignore files by extension. In the “My Computer” section of Backup and Sync Preferences, click Change Advanced settings, and then enter the file extensions to ignore. Note that this applies only to directories on your computer, not to the “My Drive” folder. You can now right-click any folder and select Sync this folder to start syncing that folder to Google Drive. Users are now notified when Backup and Sync can’t convert photos to high quality. Fixed an issue where multiple copies of the executable were being created in Windows. Fixed an issue where quitting Backup and Sync was taking a long time. The toggle for photos and videos will be handy if you use Drive mainly for camera backup. You don't need a handful of documents and folders in the way of your pics, right? On the flip side, you can specifically exclude files types from Backup & Sync in the new update. In the advanced settings, you can add file extensions for the app to ignore. You can add new items to Drive much more easily, too. Just right-click on a folder and select "Sync this folder" to get it in Google Drive. You can grab the latest version of Backup & Sync from Google's site. Remember, this is the consumer Drive client—G Suite customers have Drive File Stream instead.